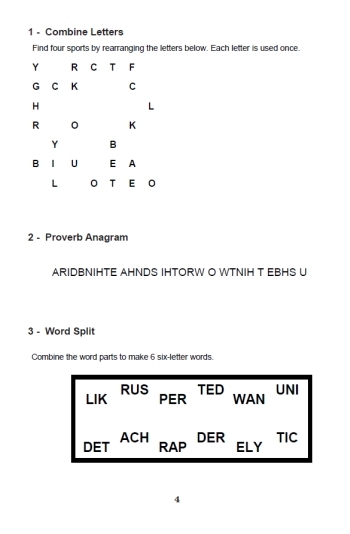 Welcome to this brilliant collection of 100 brain-teasing anagram puzzles! Perfect when on-the-go as there is no need for a pencil! 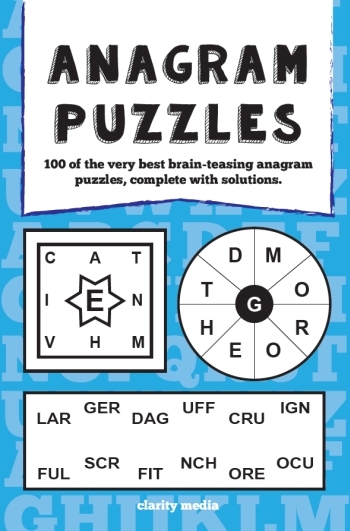 Featuring a great mix of word puzzles - this book will challenge you with the very best star letters, word wheels, proverb, themed and even funny anagrams! Put your vocabulary knowledge to the test and see if you have what it takes to complete all 100. The answers are listed towards the back of the book so if you get stuck along the way, take a peek there for some inspiration.